John talks about his search for a hair loss cure when he came across Scalp Micro USA. He wanted a natural look and to get a framing back to his face. 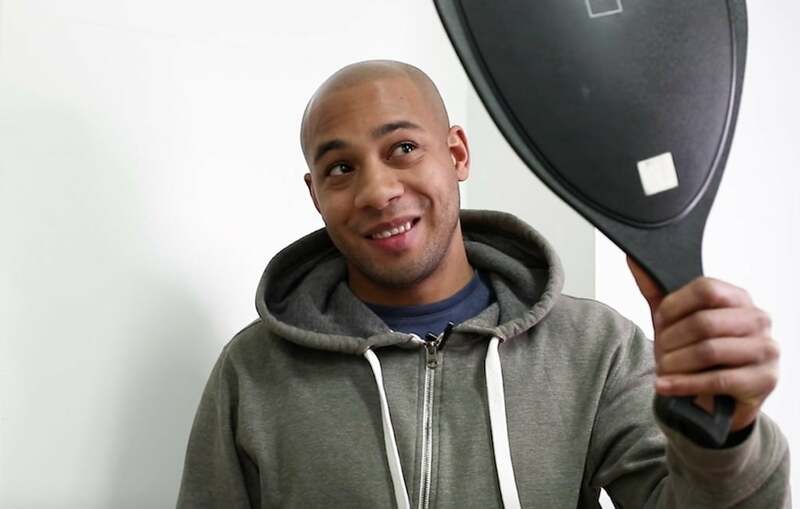 Check out his amazing scalp micropigmentation before and after! 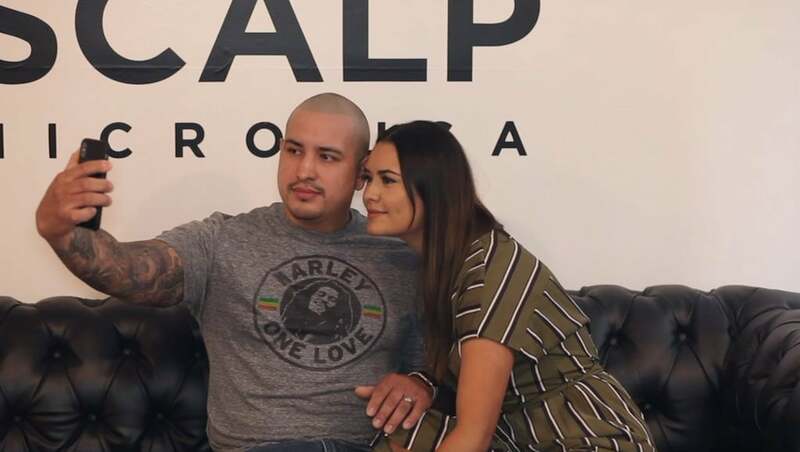 Josias shares his scalp micropigmentation journey from start to finish in this self-made documentary. Check out his before and after results! 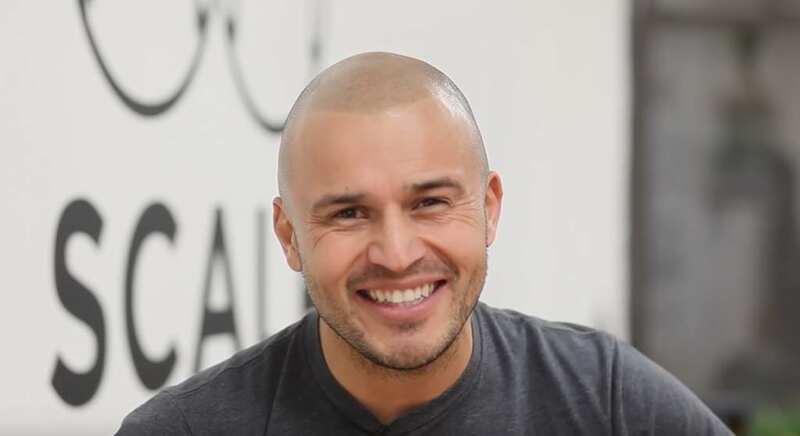 Chris opens up about his struggle with hair loss and how Scalp Micro USA changed his life. Find out what his wife and kids think about his new look! 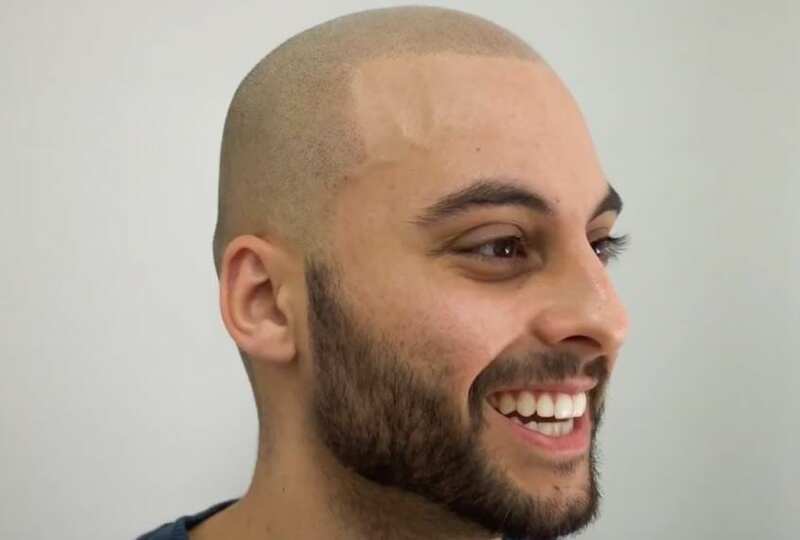 Moe discusses hair loss, scalp micropigmentation, how he found Scalp Micro USA, and why a natural hairline that framed his face was his top priority. 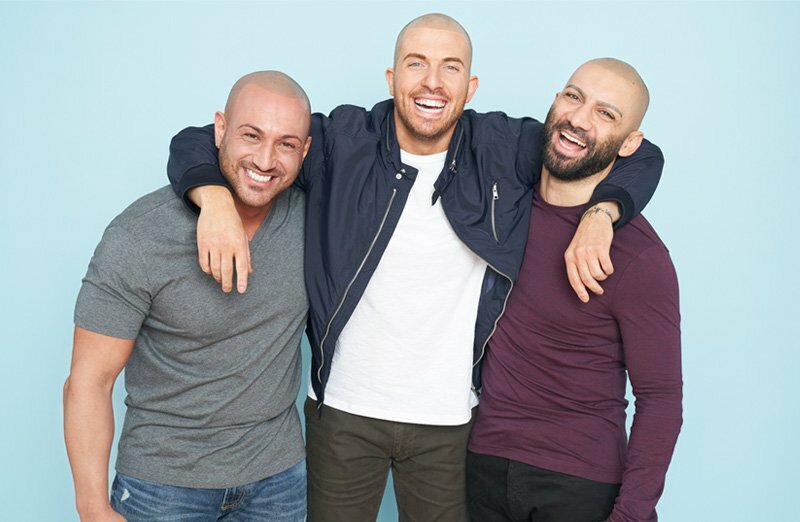 Check out this Youtube stars hair loss story! Top notch service and results from the best practitioners in the industry! My experience at Scalp Micro USA was phenomenal. Graig did my treatment, and I was extremely satisfied. He’s professional and his work speaks for itself. This treatment was one of the best decisions I’ve ever made. It has built my confidence and self-esteem. I recommend them to anyone seeking treatment. The space is clean and welcoming. Just had my 2nd session done today in Houston with Graig. It Looks awesome and Graig was very professional, caring and just makes you feel real comfortable. Fellas if your balding or thinning hair I strongly suggest you go see Graig in Houston at scalp micro usa. Hes the man for the job. Make you feel young again. Get your confidence back up. Thanks Graig! Amazing company! I would give 10 stars if I could, I had my procedure done at the Houston clinic and I have to say, I am happier than I thought I would be after my second session. The results are way better than what I expected going in there. Graig is exceptional at what he does and a down to earth guy. Really understands what you’re going through and what needs to be done. Would recommend him to anyone that wants to get SMP done here at the Houston clinic. Graig was awesome!!! And did an amazing job. I Would highly recommend having your procedure done by him if you are thinking about having it done. He made me feel comfortable and answered all my questions, and truly looks amazing!!! Graig is the real deal! If you're considering this procedure, do yourself a solid favor and look no further - he's absolutely the best in the biz. I’m not going to leave a long review, because I’m too busy looking at how handsome I am in the mirror, thanks to the skills of Graig Lauricella. The man is extremely talented and is one of the top practitioners in the industry. Believe me, I made sure I did my research before I decided to do this. Not only does Graig have mad skills, he is a very nice guy. No more scar, no more hiding under a hat!! I'd like to do this to somebody, I'd like to do this every day. To make people walk out like this, this is the best. This is the best here! In trying to constantly find ways to stop my speedy hair loss with snake oils and pills, it was easy to forget what life used to be like. The people who say, “it’s just hair” are the ones who haven’t lost any. ScalpMicroUSA has given me back much of the self-esteem I had lost. It’s scary to think that it can make such a huge difference to one’s psyche. But, hey… it does. I love the results! It took 2 sessions. Matt was professional but also personable and makes you feel comfortable. I would not change a thing about my experience. It was obvious Matt was a pro. So glad I did this, and glad I chose Scalp Micro USA. I was skeptical at first like anyone would be but Wow what an Amazing job Graig did! Not even noticeable and looks perfect after two sessions! Graig was also very professional, patient and genuinely cared. I highly recommend you get this done with Graig if you’ve been thinking about It. It’s more than worth It! After doing some scalp micropigmentation research I found Graig in Houston and traveled for my sessions. It was all worth it because the work Graig does is amazing! It came out better than I expected! Graig did a fantastic job. I'm so happy with the work and would do it all over again. Scalp Micro USA is 100% professional and after consulting with several other SMP clinics. Graig out shined them all with his professionalism, confidence and attention to detail. He listened to my concern, explained the process and made me feel at ease throughout the whole experience. I am very pleased with my results and there is nothing like having your confidence back. Thank you Graig. I can't begin to explain how happy I am that I found not only this group, but this guy (Graig). I'm an obsessive researcher, and I searched for about a year before pulling the trigger. When you work with Graig, you genuinely know that what he's doing for you life is abundantly more important than the check you're writing. When you combine talent with that type of motive, it can't be beat. Highly recommend. Graig was very friendly, answered all my questions and the results were excellent. I would recommend Scalp Micro USA to anyone interested in SMP. Graig was very professional and responsive at every step of the process. Best of all, he does a fantastic job. It’s more natural looking than I even thought was possible. I know I made the right decision with him and Scalp Micro. I definitely looked around and “interviewed” several others but this was the right decision for a number of reasons. Just finished my 3rd session and Matt did an awesome job. I used a hair replacement system for 20 years. After careful research, I knew I wanted Matt to do the procedure. I flew in from Florida three times. The results were better then I expected. I should have done this along time ago. If your considering SMP, I recommend Matt. He is was very professional and personable. Thanks! I had my second treatment completed a couple of weeks ago and I'm super satisfied and happy I finally got it done. From the beginning to end they are extremely helpful and knowledgeable in answering any of your questions or concerns. Matt is a super talented personable artist and I will definitely recommend his services to anyone and everyone looking to improve their appearance and boost their confidence. I researched extensively trying to find the best SMP practitioner and one name always came up, Matt Iulo. After a few more weeks of seeing Matt's name pop up a few times during my research I decided to make an appointment for the first session. All I can say it was awesome Matt is a humble guy that has the clients best interests at heart. He will work with you to get the perfect result and he makes you feel at ease. I will forever appreciate all he has done for me. Matt, Ken, and the rest of the crew were great. Awesome customer service make you feel like home (they even let me take a few shots 😉). Ken worked on me both sessions and both times it came out looking awesome! Unbelievable really! This is by far the best thing I have ever done for myself. My confidence is through the roof and I finally don't have to go another day worrying about my hair loss. Having dealt with hair loss since the age of 17, I have tried every solution from shampoos to surgery to hair systems, and this is hands down the best, and most natural, result I could've asked for. I had my 2nd session last week, and the results are nothing short of remarkable. If I could have done this 15 years ago, I would have! Matt and his staff are awesome. Ultimate professionals, Matt made me feel comfortable in making my decision and helped me to reach my goal in the type of look I wanted...Awesome experience, if you're interested in getting this procedure done... This is the place to be!!! I flew from all the way from Nashville Tennessee to New York to meet Matt Lulo in person. He performed the procedure and I could not be happier. Matt is awesome, the people and team there are awesome, the atmosphere is awesome and my head is awesome. Thank you Micro Scalp USA. I don't think 5 stars is enough. I have traveled up from Virginia for three procedures with Matt and I would have traveled from anywhere in the world. I believe Matt's the best there is at this and I wanted the best. I couldn't be happier with the results, and it was a great experience from beginning to end. If you are debating, stop, go get it done! You will not regret it.